Image: Reuters Venezuelan President Nicolas Maduro blocked medicine and food sent by Washington to the Venezuela border with Colombia. 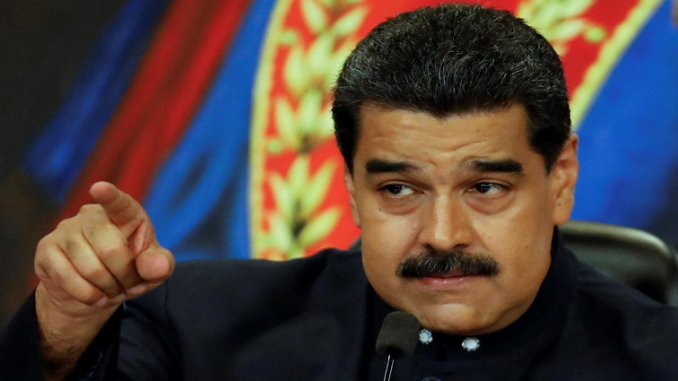 The United Nations says a humanitarian stand-off between the United States and Venezuela adds weight to calls for serious political negotiations towards finding a lasting peace in the South American country. This after medicine and food sent by Washington to the Venezuela border with Colombia was blocked by President Nicolas Maduro‘s government. US officials say the trucks carrying the supplies were sent at the request of the country’s opposition leader and self-proclaimed Interim President, Juan Guaido. At the UN, warnings that aid not be used for ulterior motives as the Secretary General’s Spokesperson Stephane Dujarric explained says Venezuela has a serious gap of nutrition and basic healthcare. “When in any country there is a serious gap in terms of nutrition or basic healthcare including vaccinations that is a very serious humanitarian issue. For the UN humanitarian assistance should be needs-based and carried out in accordance with principles of humanity, neutrality, impartiality and independence. When we see the present standoff, it becomes even clearer that serious political negotiations between the parties are necessary to find a solution leading to lasting peace for the people of Venezuela. What is important is that humanitarian aid be de-politicized and that the needs of the people should lead in terms of when and how humanitarian aid is used. The US could attempt to seek UN Security Council approval for the aid deliveries, but would struggle to overcome opposition from veto wielding countries like Russia. Venezuela was also mentioned during US President Donald Trump’s State of the Union address on Wednesday night. The UN says some three million Venezuelans have fled the country due to economic hardships and a lack of access to medicines.